Our test systems are redefining the standard for self-testing care. With TrueDX technology there is no need to interpret test lines. Our digital display outputs unmistakably clear results in numbers, words or symbols. Our global partners entrust us with their concepts, design, development, manufacturing and support processes to grow their iconic brands. 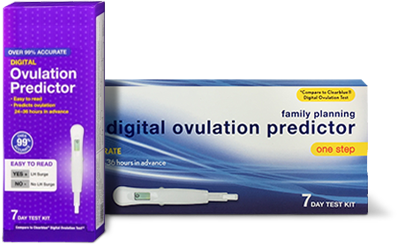 With the TrueDXP Disposable Reader there is no need to interpret lines or configure your smart device. The TrueDXP Disposable Reader brings a new dimension to portable quantitative testing. 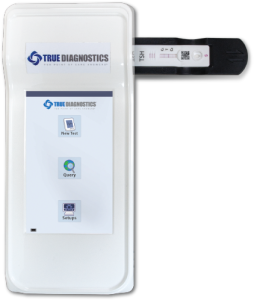 The TrueDX Reader combines the strengths of rapid point-of-care diagnostics with central lab performance. The TrueDX reader is an innovative platform that will transform the point-of-care markets. All TrueDX AssaysTM are stable at room temperature for up to 18 months. Our proprietary calibration method allows us to extend our shelf life stability over traditional methods that use a pre-set standard curve.